Well I did it. For the first time ever, I think, I completed Kathy Racoosin’s Daily Marker 30 Day colouring challenge! And my own personal wood stamp challenge. I’m going to share more thoughts about my personal challenge on the blog tomorrow as I learnt a LOT! On to today’s card. I was originally going to use another flower stamp but when I saw that the theme of the new Time Out challenge was ‘unique’, I KNEW I would have something fitting in my wood mounted stamp collection! I chose another Magenta stamp – this one is called ‘Go Getter’ – isn’t it a cute image! And look, it even includes three little horses like the image I coloured for Day 2! I knew I’d have a suitable sentiment in my collection as I am all for celebrating our unique qualities! In the end I chose a sentiment from an older Personal Impressions/Lindsay Mason Designs clear stamp set. 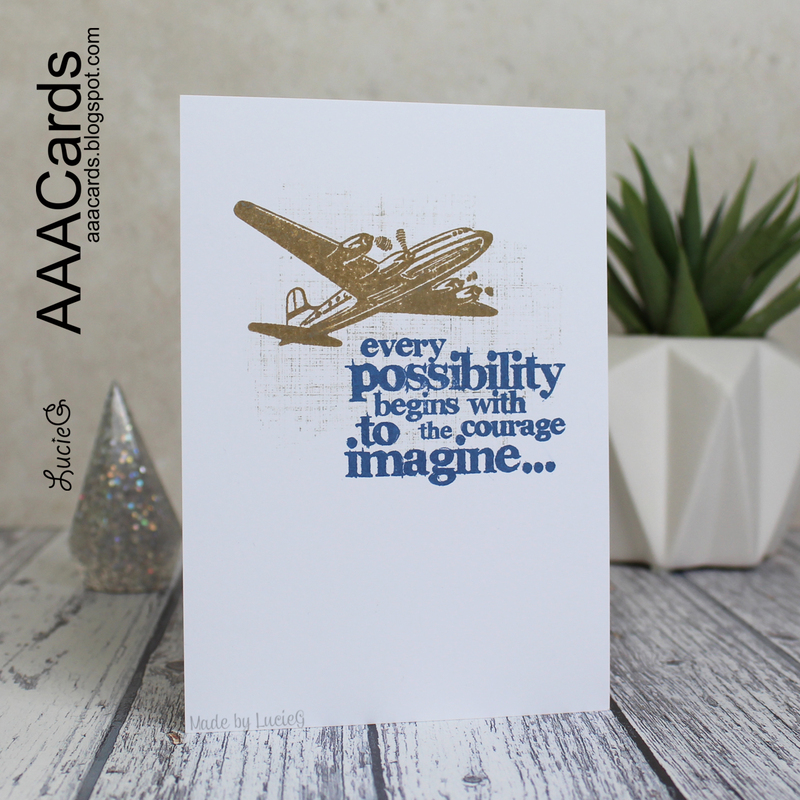 I wanted to keep the card quite CAS but wanted to inject a little more colour so when I was assembling it I decided to add some of the Basic Grey patterned paper I used for my Day 2 card. I’m also entering this into the current Inkspirational challenge – ‘use your stash’. Thanks for stopping by! I hope you return for my round up post tomorrow!